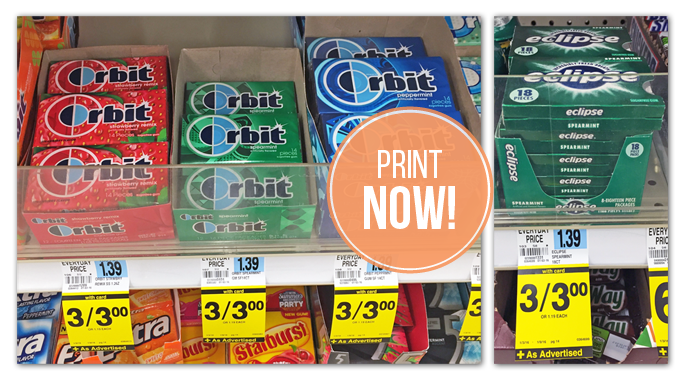 Packages of Orbit and Eclipse Gum are on sale at Rite Aid, three for $3.00. 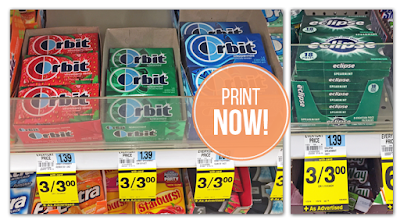 Buy three and use three $0.50/1 printable manufacturer coupons. The final price is $0.50 per pack! You will need more than one computer to do this deal! Total $1.50 or 50¢ each after coupon!